I didn't get much done last week, but I got a bottle of averland sunset and tried out hazard striping. Edited by Marshal Vespasian, 15 October 2018 - 04:49 AM. Your Templar looks great, but the striped bolter looks like an Iron Warriors traitor's weapon, and may make your Templar a victim of misidentification and "friendly fire." I'm happy that your experiment worked out for for you. The stripes run parallel and that's are even, which isn't something easy to achieve. If I may, I'd say that painting the hazard stripes only on the boltgun receiver/frame and leaving the fore-end/grip bare would produce an even more dramatic and cool-looking effect. So with my last Knightfall vow completed I am now able to field 1k of Black Templars. Putting them all up for a group picture was a really nice experience for me. 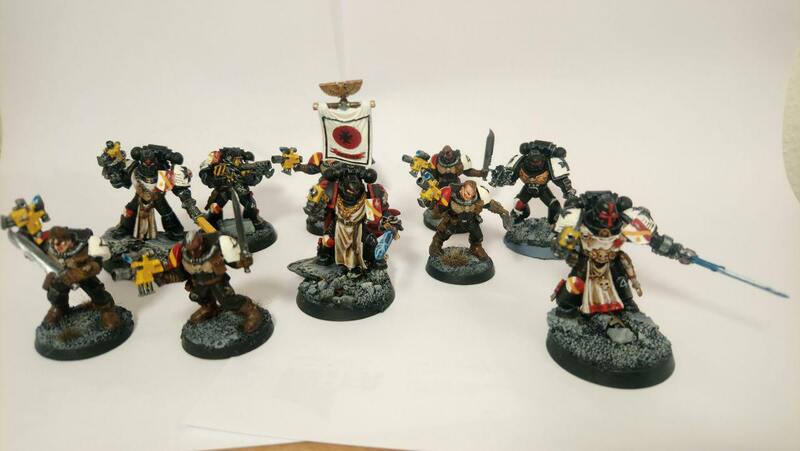 I put up the first squad I painted after getting back into the hobby after 8 years next to my Marshal I finished half an hour ago and I saw progress that I am pleased with in the last few weeks and month. I may go back and do some squads anew. I may go and repaint all my guns yellow or red. We will see. But for now I can field 1000 points of black armoured zeal and I am happy with how they came out. Very nice looking crusade and I know that satisfied feeling you speak of. I remember my first 1000 pts, everything looked so grand. I put up the first squad I painted after getting back into the hobby after 8 years next to my Marshal I finished half an hour ago and I saw progress that I am pleased with in the last few weeks and month. This is one of the great benefits of our hobby, the chance to improve our skills and see the difference. I've known people who have come to the BnC, not knowing what end of the paint brush to hold and after a couple years of continuous painting, getting feedback, and pushing themselves, able to compete and even win painting contests. So keep at it. The changes tend to be subtle and evolving, but tangible. I still have the first model I ever painted for 40K. It's quite humbling. Particularly enviable because it is entirely playable! Too often we get lured by the siren song of Leviathan Dreadnoughts or Land Raider Spearheads, and never get around to painting up our rank-and-file. I have found myself fielding 2000 point lists with more vehicles than Crusaders in it, simply because I wanted to use a fully-painted force. Funny, sure, but often impractical. Sadly I slept on pledging These guys for Knightfall. One lascannon for my other ranged Crusader squad and another ranged Crusader squad with plas/plas/las. Also some banners, because for some reason I haven't done any banners yet. 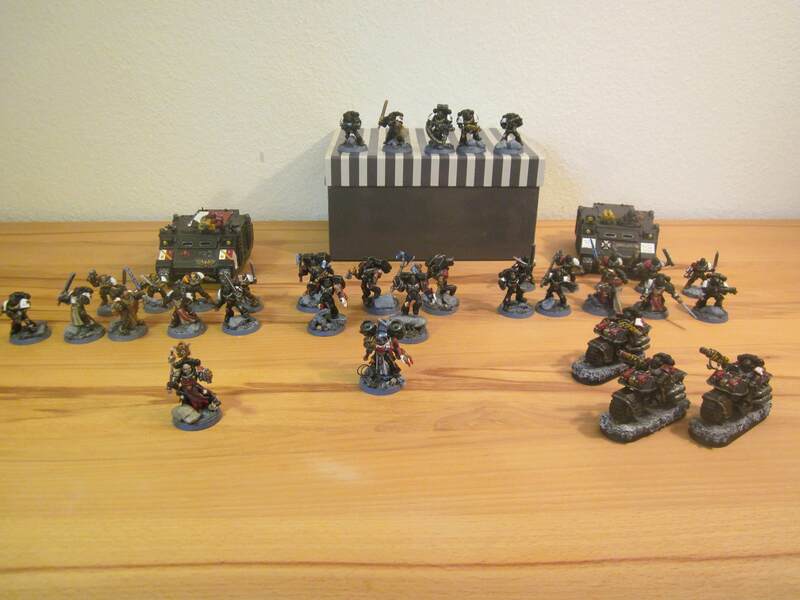 I had a dark angels sprue lying around as you can see. Next up will be more melee crusaders, as I dig into my start collecting box. Good job on the models, but why put Dark Angels-type hoods on the Ancients? Should we be concerned about the Black Legion wannabes infiltrating our Chapter? 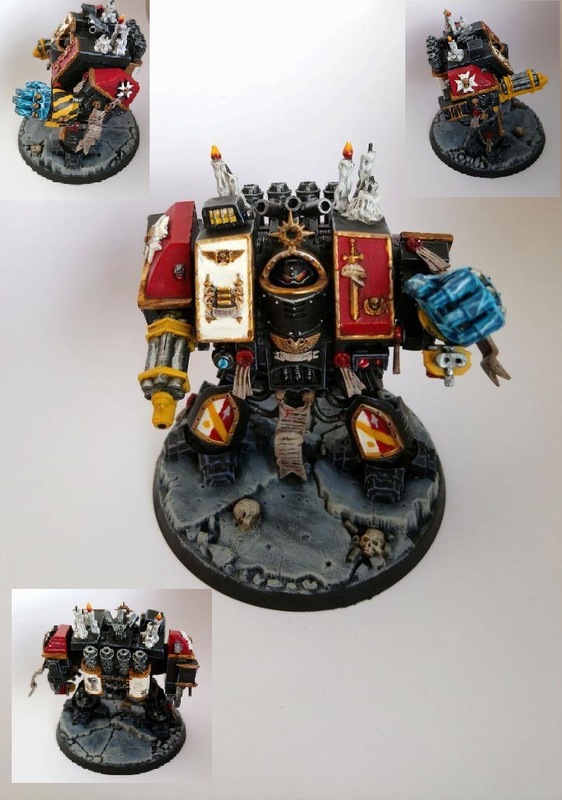 Is that th kromlech lascannon? Correct. Only criticism I would Level ist that the part where they are grabbing the lever at the Front is very prone to breaking since its resin and all that. Edited by Marshal Vespasian, 19 November 2018 - 05:45 AM. Beautiful work on the Venerable Dreadnought. Knightfall might be over, but the crusade goes on. So after a brief stint in the frozen wastes of romaniac alps of the blessed theroneworld I give you 5 more neophytes to complete my third rhino squad. I am such a fan of your crusade's paint scheme. The yellows (mixed with bright reds on shoulder pads and heraldry) help the models look a bit move lively than the usual Black Templars palette. Thank you for your kind words brother Christopher. I am glad that the paint scheme does what I hoped it would do. Edited by Marshal Vespasian, 12 December 2018 - 04:18 PM. Good job on the models. 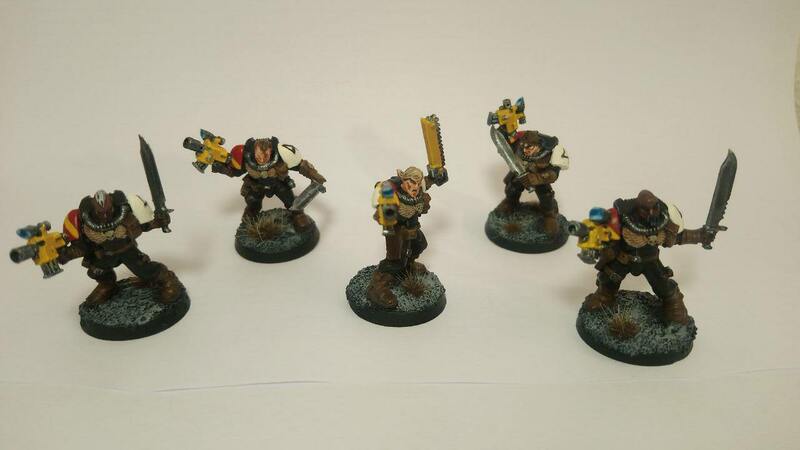 Are the yellow bolters meant to show solidarity with the Imperial Fists and their successors? 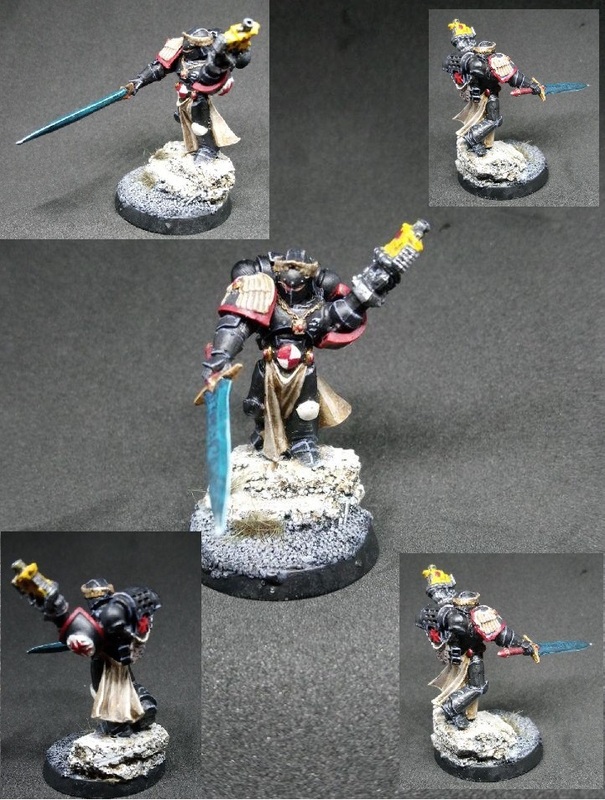 Will your Templars be chosen, on account of their incomparable experience, to lead an army of Dorn's sons on a crusade against [insert enemy of the Imperium here]? i have to be honest,... I dont like the idea of yellow weapons. 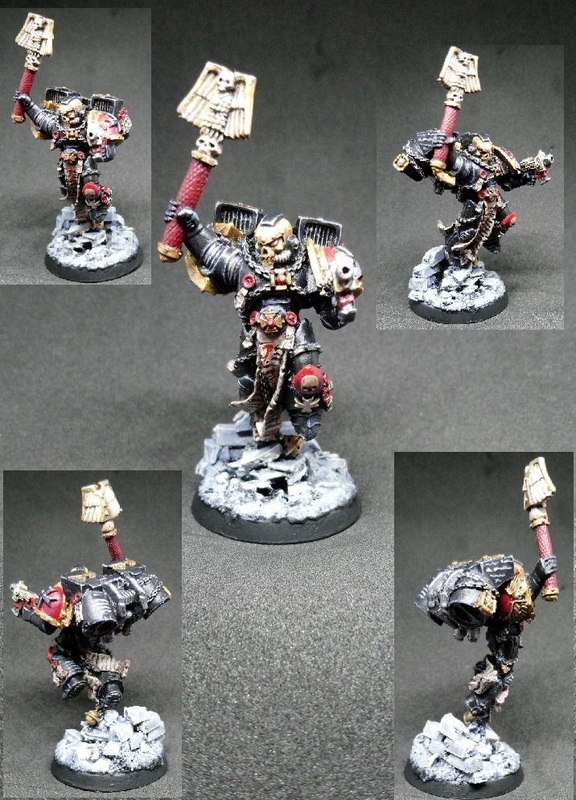 The Grimdark or comic or sort of garish colour scheme was a staple of 40K back in the day, so I see yours as a throwback to those more innocent times. Also, what Bjorn said - yellow may be considered as homage to the Imperial Fists. Finally, I just plainly like that from aesthetic point of view. I also realised that I did yellow weapon bodies for my count-as hellblaster squad, but this is rather an exception to my usual approach intended to set them off from the rest of the force even more distinctly. Yours turned out much better, though. Are you also planning to use other colours as well? I think red works well (if I recall correctly, this was the colour used for Sword Brethren Terminators' storm bolters in Codex: Black Templars). Well on the one hand I really like the yellow colour for brightening up the colour Scheme. On the other hand it is a nice Tribute to our dornian ancestry. I want to keep the yellow and yellow with hazard stripes for special weapons/charakters quite consistent. On the other hand I am quite fond of giving sword brethren and HQs a bit of leeway. For example my jump Pack chaplain will get a Red casing on his bolt pistol. Or the Bolters on my bike squad are red, while the meltas are yellow with hazard stripes. So the short answer is: it depends wether I want to put more colour or more red on the model. Edited by Marshal Vespasian, 13 December 2018 - 05:28 PM. Hm, thought the yellow weapon was a shot at the old Templar box art. Although those were a paler shade. Still, hardly remotely garish compared to the colors of the good ol' days, like Christopher mentioned. Yes it totally is that. But in-Universe its a way to honour the old Legion. Edited by Marshal_Roujakis, 20 December 2018 - 11:37 AM. 'No matter the laurels of victory, no matter the glories others may seek. We are Space Marines, the Adeptus Astartes, the Angels of Death! And more than this.' he said, his voice dropping quiet.